Power Call delivers emergency power within the hour. We install a simple weather-proof plug and socket on the most accessible part of the exterior of your building. 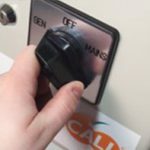 The manual changeover switch we install allows a straightforward selection between mains power and generator power. From there on, you pay a monthly subscription that gives you access to emergency generator delivery as many times as you’ll ever need. In the event of a power failure, you call our 24-hour control centre. We dispatch an engineer and an emergency mobile generator to you immediately from the nearest depot in our nationwide network. We aim to be with you, plugging in a generator and restoring power within one hour of your call. We absolutely guarantee we’ll be there within three hours or you’ll get a full refund of the affected site’s Power Call subscription costs for that year. 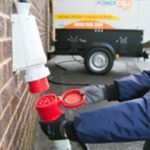 Your generator will be there to provide power until your mains supply is safely and reliably restored – so if you’re suffering a prolonged power cut, you’ve nothing to worry about. Our control centre will ensure your generator is refuelled if necessary, with no downtime, and we’ll only collect the generator when we know your mains power supplier is confident your service is stable again. 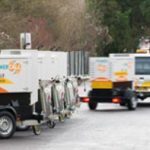 With a successful emergency generator deployment of better than 98%, you won’t find a faster or more efficient low-cost emergency generator service. 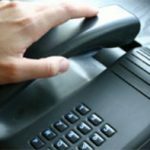 Give us a call on 0844 888 444 5 to get the facts in plain English.